A bedtime beauty routine is just as important as your daytime and makeup routines, if not more. 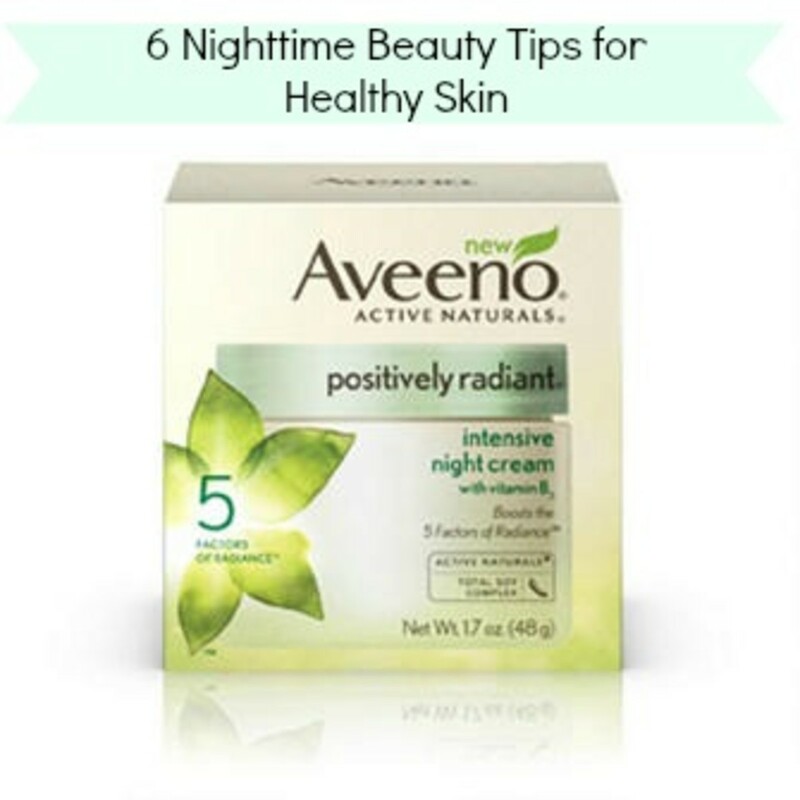 Here are my 6 simple bedtime beauty tips for health skin. Thoroughly remove makeup: Time and time again I hear women&apos;s revelations that once they figured out the best way to remove makeup thoroughly they noticed an immediate difference in their skin and less breakouts. Jennifer Aniston and Katharine McPhee have both been vocal about it. Whether you use a makeup remover, wipes, or a cleansing tool, it&apos;s important to make sure you&apos;re completely removing all dirt and oil. Excess makeup can cause clogged pores, black heads, and breakouts. I personally cleanse my skin at night differently depending on whether I&apos;m wearing makeup or not. If I am, I use wipes to take off the bulk of it, then a gentle cleanser. At least once a week I use a cleansing brush. Exfoliate as needed: I also exfoliate a couple times a week to remove dead skin cells, which allows for better absorption of my night cream. There are two ways to exfoliate: with a scrub or with a chemical. Figuring out what works best for your skin type will help improve your skin&apos;s texture and reduce the appearance of pores. Don&apos;t pick: I&apos;m not preaching here. I have as much trouble with this as anyone but I know that touching and picking at my face any time of day can spread bacteria, prolong blemishes, and cause scaring. Replenish moisture and counter aging with night cream: Makeup removal and cleansing can leave skin parched. Replenish moisture with a hydrating night cream for your skin type. Many night creams also contain valuable anti-aging ingredients that firm, lift, and can reduce the appearance of wrinkles. Ingredients like retinol, glycolic acid, salicyclic acid and retinyl acetate help promote cell turnover and are best worn at night to minimize irritation from the sun. Just beware they can leave the skin sensitive and more prone to UV damage if you&apos;re not protecting your skin during the day. Don&apos;t forget eyes and lips: The skin around the eyes is the most delicate (and sensitive to products) on the entire body and generally the first place to show signs of aging. The lips only have thin surface layers of skin themselves so while it may seem high maintenance, I use special products that target these particular problem areas. Eye creams contain emollients (moisturizers) to hydrate and ingredients such as calendula to fight under-eye puffiness. Some eye creams may even contain caffeine, which can help reduce the appearance of bags under the eyes. To keep lips hydrated, I use simple balms and jellies. Moist lips are essential for smooth lipstick application and overall comfort. Get adequate sleep: According to New York City dermatologist Doris Day, MD, who wrote the book Forget the Facelift, "Your skin, and your whole body, goes into repair mode when you sleep." New skin cells grow and replace older cells. "It&apos;s repairing and restoring and rebalancing," Day tells WebMD. It&apos;s also a time when many hormonal and metabolic changes occur throughout the body, including your skin. A lack of sleep disrupts those processes so be sure to establish a consistent sleep routine so your body can do its thing! What&apos;s your nighttime beauty routine like?